The editor of Muse, Tim Nudd asked me and 3 other Creative Directors to choose a notable campaign our agency did in 2018 and one that another agency did. For the agency example, I chose the Goodwill Fall Collection. 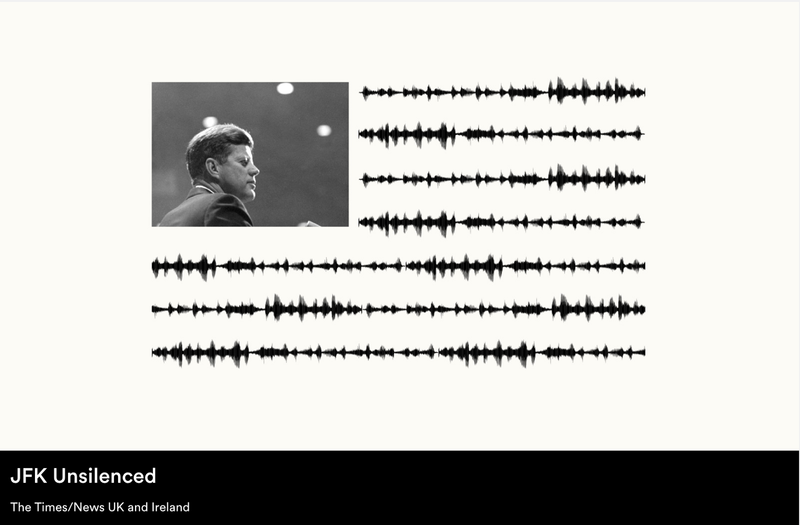 For the outside example, I wanted to pick something off the beaten path, so I chose “JFK Unsilemced” by agency Rothco. Menno Kluin from 360i chose Nike’s campaign featuring Colin Kaepernick. Check out the rest of the picks. Where do I start? So many brilliant layers. The fact that they used A.I. to bring a historical event to life that never happened is mind-blowing. The fact that it wasn’t done for technology’s sake, but as part of the “Find your voice” campaign, is refreshing. The fact that they launched it on the day JFK should have given that speech 55 years ago is timely. The fact that the speech is maybe even more relevant today than it was then is a little terrifying.One thing I know for sure: This changed the way I’ll think about the assassination forever. And if I lived in the U.K., I’d be the newest subscriber to the Times.